For any commercial queries related to advertising, sponsorship or collaborations, fill in the form and I’ll get back to you. I do offer ad banner space on London web Girl for brands that I have worked with previously or absolutely adore. So if you know I love your product, or might love it, please get in touch. I live in London, so if I’m free, I’m sure I’d love to come along. 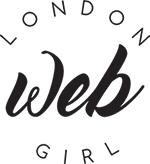 I do accept guest posts on London web Girl, if you would like to talk about a collaboration opportunity on London web Girl please fill in the form.